Friday, April 5th, I'll be at the Orcas Island Lit Fest for a panel on "Delicious Writing" with Kim Bast, Jess Gigot, and Joe Ray. If you're in the area, I hope you can join us. Find more details, including info on how to get to Orcas Island, at the festival website. East coast pre-pub promo tour complete! I’m very lucky to have hit the road last week with three wonderful authors to promote our upcoming books. 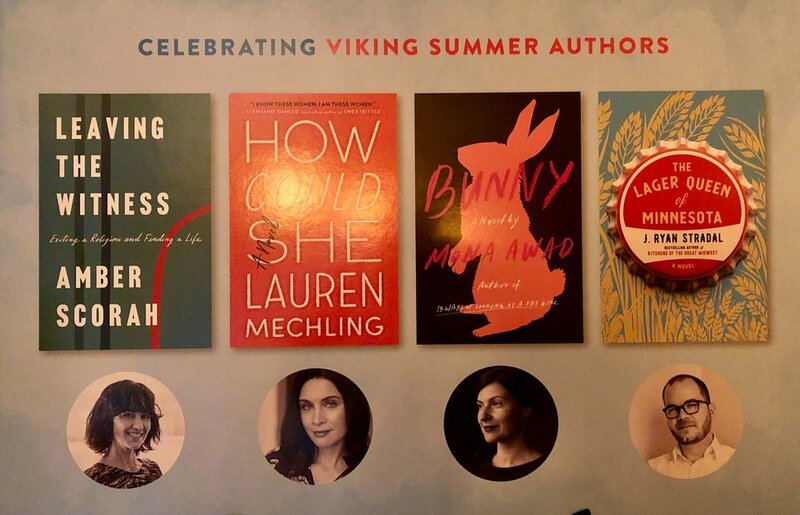 We stopped in DC, NYC, and Boston, and I’m looking forward to returning to each city this summer after THE LAGER QUEEN OF MINNESOTA comes out July 23rd. Huge thanks to our extraordinary publicist Shannon Twomey, our local sales reps Trudi, Justin, Karl and Megan, my editor Pam Dorman, and all of the booksellers and media (including my high school friend Ellen) who came out on cold, snowy nights to meet a bunch of writers. Hope to see everyone again when it’s a little warmer. Heads up. If you're a Kindle, Nook, Apple, Google Play, or Kobo user, you can download a free short excerpt of The Lager Queen of Minnesota (and many other upcoming books) through this #BuzzBooks2019 promotion. More information here. My second novel, The Lager Queen of Minnesota, about a family split over an unfairly divided inheritance, set against the backdrop of Minnesota beer culture from the 1950s to today, is out on Pamela Dorman Books/Viking this July 23rd. Check back here for updates regarding the tour schedule and other non-tour events in 2019 and beyond. Beyond Baroque was a literary staple of my years living in Venice Beach. I’m honored to return there on Saturday, December 8th to help them celebrate their 50th anniversary. Each installment of the NEW Series features original work commissioned from authors on a single theme. The changes Beyond Baroque has undergone over a half-century have brought us to reflect on our past and our present. That's why we chose Innocence and Experience as the theme for the final installment of the NEW Series. Join us as acclaimed writers Harryette Mullen and J. Ryan Stradal read wholly original work that has never been published or presented elsewhere. Other guests to be announced soon! This program is supported in part by a grant from the National Endowment of the Arts. For more info, and advance tickets, visit here. 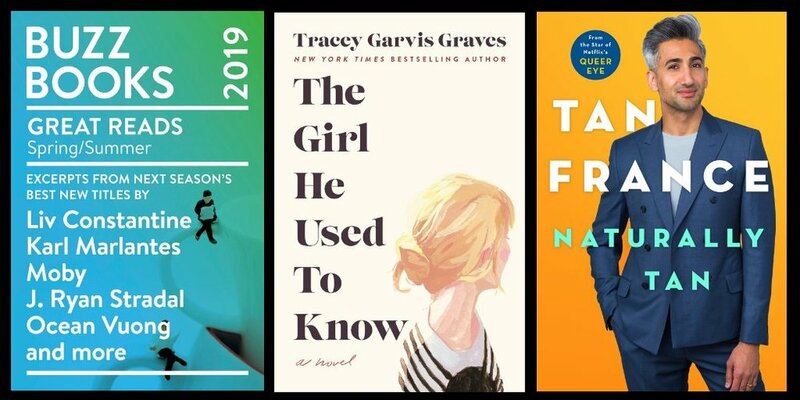 A fantastic summer evening with authors Nancy Pearl & J. Ryan Stradal, live music by Pinniped, champagne, delicious food, silent auction, Raise the Paddle for the South Sound Reading Foundation and a few delightful literary diversions! Join us for lunch with four accomplished authors to hear first-hand about their experiences in the publishing world. Craig Tomashoff (MSJ '85), J. Ryan Stradal (Northwestern '98), Toni Gallagher (Northwestern '87) and Thomas Greanias (BSJ/MSJ '87) will discuss their most recent works and offer advice to aspiring writers. Seating is limited. Admission includes a buffet lunch. More information and advance tickets here. Sponsored by the Medill Club of Southern California. CRITICALLY ACCLAIMED, an anthology of "real reviews of fake movies" I co-edited with Adam Cushman, comes out today via Rare Bird Lit. It's available through Powell's, IndieBound, Amazon, and elsewhere. Special thanks to the great Jay Kovacs for the movie poster design on the inside covers. My three-part short story "Time in a Bottle," about a young woman whose life is changed at the intersection of legendary wine and unspeakable grief, is up in full on the CNET website, as the final installation of their "Technically Literate" series. 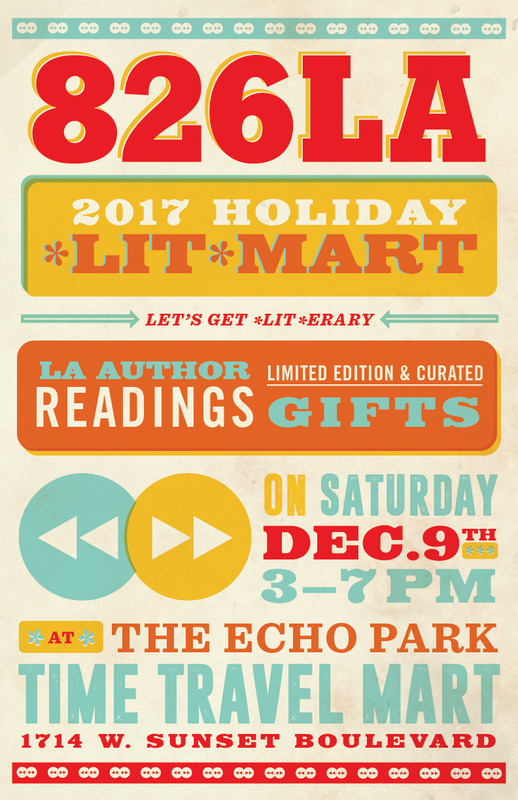 I'm honored to appear with authors Cecil Castellucci, Rico Gagliano, Meg Howrey, Lilliam Rivera, and Chris Terry on Saturday, December 9th at 826LA's Holiday Lit Mart. Come on by, listen to some stories, and enjoy a festive Saturday afternoon with us! A reading & signing with a traditional Lakota meal at 5:00 pm on Wednesday 9/20 at Racing Magpie. 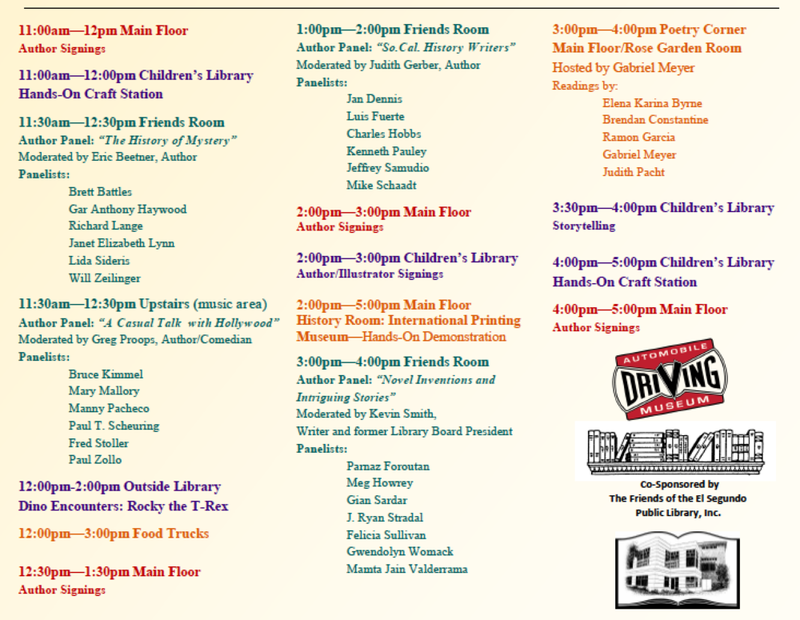 The One Book South Dakota keynote address at 11:00 am on Saturday 9/25 as part of the South Dakota Festival of Books. If you're local or in the area for the festival, I hope you can swing by. It's been a hell of a year and all of the events so far in South Dakota have been wonderful. Huge thanks to the South Dakota Humanities Council and the Penguin Random House Speakers Bureau for their support. Next month at Edgemere Farm in Far Rockaway, New York, Fork Monkey and Edible History are collaborating to recreate a version of Eva Thorvald's "The Dinner" from the final chapter of Kitchens of the Great Midwest. Interested in attending? Inquire here. This Sunday, August 20th, I'm joining this lineup for an afternoon of readings & music at The Pop-Hop bookstore in Highland Park. For more information, and to RSVP, check out the Sumarr Reading Series FB event page , or visit the Pop-Hop site. This Thursday, I'm reading with Why There Are Words Los Angeles (and four amazing local writers) at Kaffebarren in downtown LA. If you're here in southern California, I hope you can come by. If you're in the Indianapolis area this weekend, I hope you can join me this Saturday at my first ever book-related stop in Indiana, at the Hamilton East Public Library in Fishers. I'll be talking, reading a little bit, answering as many questions as possible, and signing books. More info and advance ticket sales here. The South Dakota Humanities Council, as part of selecting Kitchens of the Great Midwest for their One Book South Dakota program, is sponsoring three food & reading events with me this month, in Sioux Falls, Watertown, and Pierre. Here's information on all the events, and advance tickets . There's also a brand new interview with me about "Kitchens" and my personal love for South Dakota, by Ryan Woodard of the South Dakota Humanities Council. If you're in or close to eastern and central South Dakota, I hope to see you next week -- until then, thank you, as always , for the support! Looking forward to this year's Author Fair in El Segundo, where I'm sharing a panel with the brilliant Meg Howrey. Sunday, June 11th at 3:00 pm -- if you're nearby, I hope to see you there. Extremely excited to be part of this panel in this year's Los Angeles Times Festival of Books. If it's convenient to you, I hope to see you there -- I adore this moderator and this topic. I'm deeply honored to have my debut novel chosen by the South Dakota Humanities Council as the state's One Book selection for 2017. Looking forward to coming out to South Dakota for events this summer and fall. If you can join us, check the SDHC's website (linked above) or my tour schedule calendar for details when they become available.